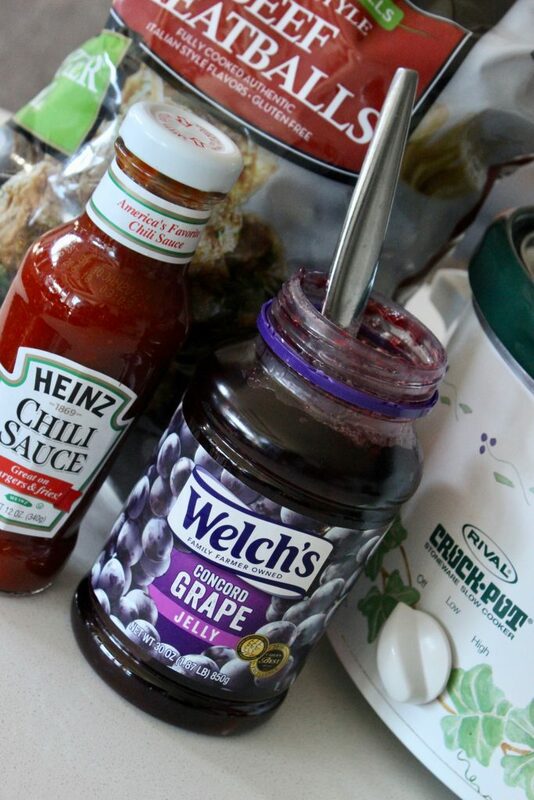 Grape Jelly Meatballs Will Take Less Than 2 Minutes & Will WOW Guests! Sometimes you need a hearty appetizer that guys, kids and ladies will all love, right? 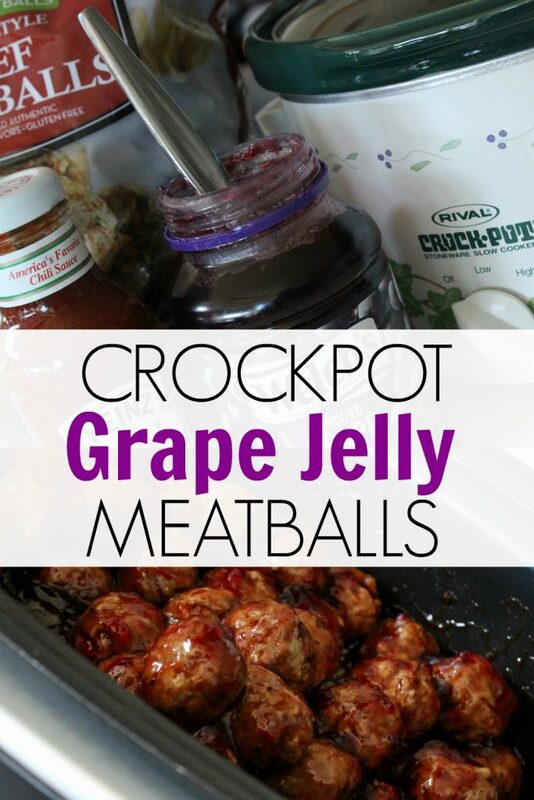 These grape jelly meatballs are just that! 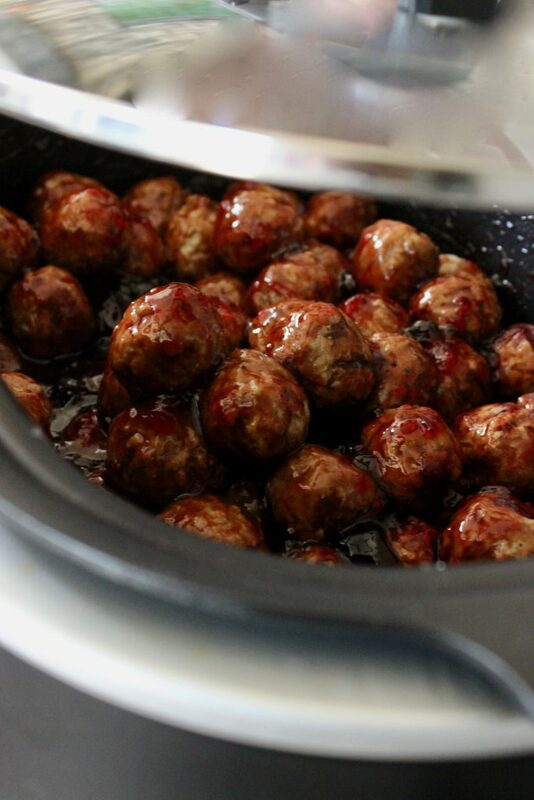 I am constantly talking up my grape jelly meatball recipe mostly because it’s so stinkin’ easy. 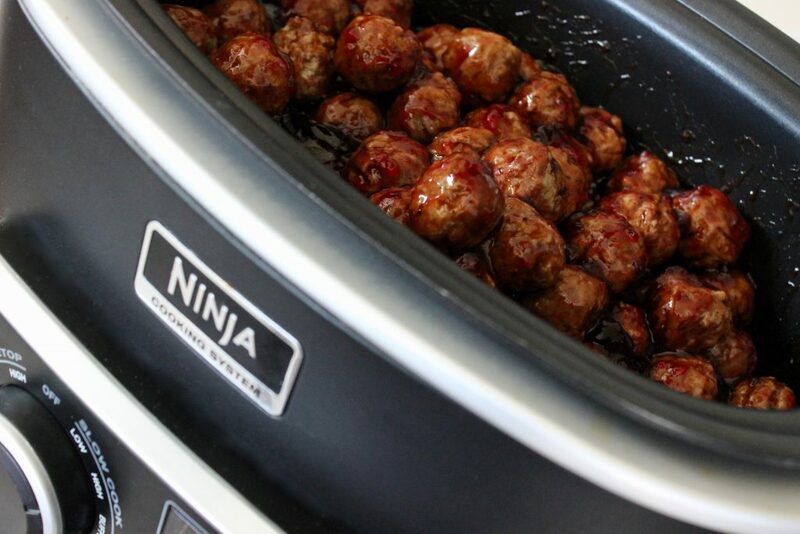 Like ridiculously easy – these are the dump, stir and go kind of easy that every mom loves and I’m not lying, you’ll have big fans of these meatballs and everyone will go crazy. In fact, I’m always embarrassed when people ask for the recipe because it’s three ingredients. Yes, literally three. 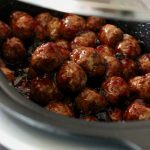 To make this meatball appetizer you’ll mix together the grape jelly and Barbecue sauce (or chili sauce depending on the taste you’re going for) and pour over frozen precooked meatballs. Stir well and cook on low for 4 hours. Serve with toothpicks for serving. These are so good and so simple. Note: You can totally sub out the BBQ sauce for chili sauce and have a little bit of a kick to your meatballs. Of course, a complete personal preference and likely dependent upon who will be eating them, but these will for sure be delicious.